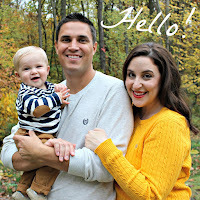 Barn Light Electric is giving away home blogger's dream gift. Seriously, listen up. They are giving away one $1,000 gift card, one $500 gift card, and one $250 gift card to buy whatever you like from their amazing selection of lighting! This contest could not have come at a better time, because in just a few weeks we will need to start choosing our lighting and fixtures. It's still so hard to believe in just a couple of months we will be moving one last time to our newly built just-for-us forever home. This post is me pretending I won the grand prize of $1,000 buckaroos of fabulous lighting for our new home. Let's start with obviously, the most important room in every home. Our kitchen! 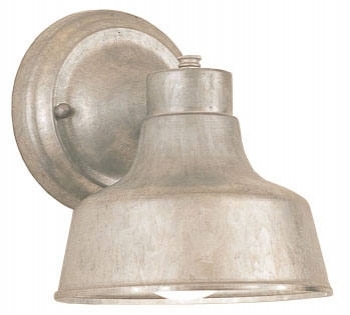 I am thinking 2 of the Barn Light Houston Pendant above our island would add to the rusticy feel we are looking to add to our new construction home. You wouldn't believe the price either. Starting at $95 bucks per pendant. That's a steal. 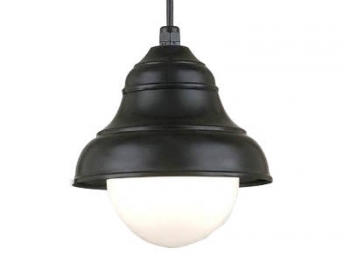 And since I have a seriously hard time making up my mind, I might order two of the Period Basics Circa 1910 Pendant for the island lighting instead. I mean look at these beauties. Gah, I know it's an exterior light technically, but it's almost too pretty to be outside! $273 each is a bit more than the first option. But Even with two lights I still have plenty of room on my pretend $1000 gift card! And speaking of the outdoors. How about some lighting out there too? I would get a few of these sconces. And, just like my momma I love me a good deal. Only $65 bucks each. 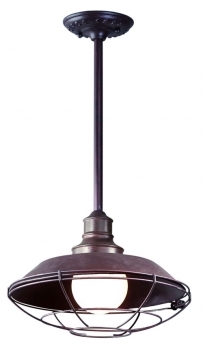 Like all BLE's lighting, they have a variety of different finishes to choose from. We would probably go with the Rust option and our outdoors would be stylin'. And let's go back inside now because an imaginary $1000 gift card goes pretty far at Barn Light Electric. 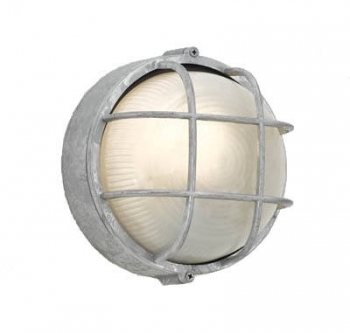 Check out these unique nautical-ish lights that would be perfect for our powder room. I have never seen anything like these lights before. And again, they have a million different finishes to choose from starting at just 123 bucks each. I love these! If you have a blog and a house and want it to look stylish and make others jealous you should enter this contest too! If I don't win, I hope one of my bloggy friends does. Good luck! Our one (1) $1,000.00, one (1) $500.00 (USD), and one (1) $250.00 (USD) Barn Light Electric Gift Certificate Giveaway ("Giveaway") is sponsored by Barn Light Electric Company (owner and operator of barnlightelectric.com), 3405 South Washington Avenue Titusville, Florida 32780. ELIGIBILITY: To enter, you must be age 18 or older. Anyone else may enter, however, additional shipping rates will apply if shipping outside the continental United States. Employees, partners and vendors of Barn Light Electric Company and their immediate family members are not eligible to enter. We will disqualify any entries that we believe are generated by scripts and other automated technology. All prizes will be awarded. No substitutions including for cash are permitted. Winners will be responsible and liable for any and all taxes, duties or fees on the value of their prize. WINNERS: After the entry period, three winners will be chosen at random. One (1) $1,000.00, one (1) $500.00 (USD), and one (1) $250.00 Barn Light Electric Gift Certificate will be awarded to each winner. In the event of a dispute regarding the identity of the person submitting the entry, the entry will be deemed to be submitted by the person in whose name the e-mail account is registered. The Giveaway will be conducted under the supervision of Barn Light Electric Company. The decisions of Barn Light Electric Company are final and binding in all matters relating to this Giveaway. The three winners will be notified by email to the email address provided in the entry. Upon notification and prize acceptance, one (1) $1,000.00, one (1) $500.00 winner, and one $250.00 winner will receive an electronic gift certificate redeemable only at barnlightelectric.com. Winner's selection of product can be ordered online or via phone. It is the winner’s responsibility to confirm the order is correct upon receiving the electronic Invoice from Barn Light Electric Company. The amount of the gift certificate can be used towards shipping costs if located within the continental United States, however, additional shipping rates will apply if shipping outside the continental United States. Winners will be responsible and liable for any and all taxes, fees and duties on the value of their prize. If an entrant is found to be ineligible, an alternate winner may also be selected from the pool of eligible entries. Each entry submitted in response to the Giveaway and in accordance with the rules will constitute an official entry. Winners will be announced on or around July 6th, 2012. GENERAL CONDITIONS AND RELEASES: An entrant or winner may be disqualified from the Giveaway if he or she fails to comply with each provision of these Official Giveaway Rules, as determined in the sole discretion of Barn Light Electric Company. Participation in the Giveaway is at entrant's own risk. Barn Light Electric Company shall make its best efforts to include all valid entrants into the contest. Barn Light Electric Company shall not be responsible for unintentionally excluding valid entrants from the possible winners and also shall not be responsible if valid entrants are not received due to communication errors relating to the internet, email, computer or telephone network failures, human error such as a Barn Light Electric Company employee accidentally not including the entrant in the random drawing, or for any other reason. Barn Light Electric Company does not make any, and hereby disclaims any and all, representations or warranties of any kind regarding any prize. By entering, an entrant agrees to release and hold harmless Barn Light Electric Company and its respective partners, sponsors, subsidiaries and affiliated entities, directors, officers, employees, attorneys, agents, and representatives from any damage, injury, death, loss, claim, action, demand, or other liability (collectively, "Claims") that may arise from their acceptance, possession and/or use of any prize or their participation in this promotion, or from any misuse or malfunction of any prize awarded, regardless of whether such Claims, or knowledge of the facts constituting such Claims, exist at the time of entry or arise at any time thereafter. Any person attempting to defraud or in any way tamper with this Giveaway will be ineligible for prizes and may be prosecuted to the full extent of the law. Barn Light Electric Company reserves the right to modify these Official Contest Rules in any way or at any time. Barn Light Electric Company reserves the right, in their sole discretion, to cancel or suspend this Giveaway should viruses, bugs or other causes beyond their control corrupt the administration, security or proper play of the Giveaway. In the event of cancellation or suspension, Barn Light Electric Company shall promptly post a notice on their online Giveaway page to such effect. Or visit Barn Light Electric BLOG contest official rules page for more information. Now blog that entry post people! I love your choice for over the island! And the nautical lights for the powder room are so fresh :) Good luck girl! The Houston Pendant is great! I'm excited to see what you end up picking for the house.